Man. I’m not even sure where to begin. 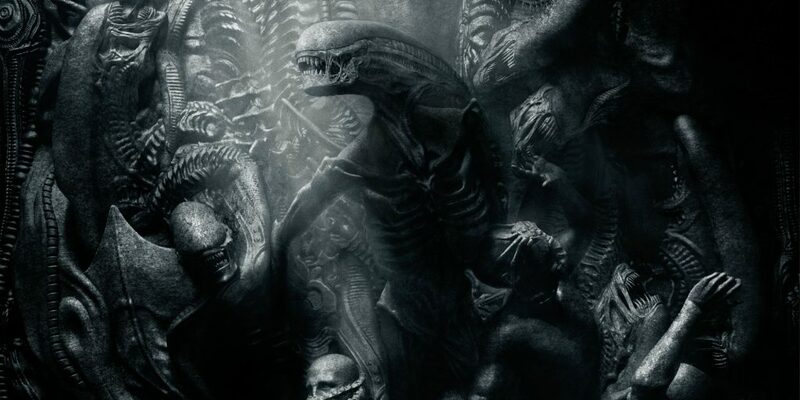 Having just got back from seeing Ridley Scott’s third installment in his Alien franchise, the overriding impression is that Covenant is the film Prometheus tried to be. That’s not to say Prometheus is a bad film. I wrote a 1200-word exposition on the film because I love it that much, but Covenant… Covenant is a different breed of cinema. It takes the horror of Alien, the action of Aliens, the drama of Alien³, melds it all together with the philosophical ponderings of Prometheus, and the final product is nothing short of amazing. Also, as an aside, I find the title sequences in Scott’s Alien films fascinating. In Alien it starts with one line, right in the center of the screen; Prometheus starts with two lines, like Roman numerals; Covenant opens with three lines, spread evenly across the screen. It’s a subtle, but distinct nod that Scott considers these films to be connected, if not sequential — but I digress! Back to Covenant (minor spoilers in this paragraph), I really appreciated how Scott chose to open the film. Instead of great sweeping vistas or the inside of a ship, we are given a prologue that shows the “birth” of David (played by Michael Fassbender) before the events of Prometheus — and he’s not alone! He’s accompanied by none other than his “father,” Peter Weyland (played once more by Guy Pearce), and their extended conversation does an excellent, excellent job bringing to surface the major themes of life, death, and creation that so permeated the previous film. It’s a brilliant bit of shorthand on Scott’s part, as it brings the entire audience up to speed — even those who haven’t seen Prometheus, or those who didn’t care for it in the first place. But for those of us who appreciated Scott’s initial return to the franchise, it was a beautiful layer of insight into why Peter funded the Prometheus mission in the first place, and why David is the way he is. Now, onto the main show. In case you’re unaware, Alien: Covenant tells the tale of the crew of the Covenant, a colony that houses 2,000 colonists, 1,000 embryos, and an upgraded version of David named Walter, all bound for a remote planet. Everyone but Walter is asleep, who has been tasked with maintaining the ship and crew — much like David was on the Prometheus ten years prior. All is going according to plan, when a fluctuation in space damages the ship, causing the crew (not the colonists) to be awoken from cryosleep. As they’re repairing the ship, they intercept a human radio signal from a nearby planet, thus initiating the events of the film. I really don’t want to give away much more plot than that, as the film has a wonderful organic progression to it that should be experienced first-hand. But what I will say is that the film does an incredible job delivering its beats. Right from the get go, you become invested in the crew and their mission. Their chemistry and camaraderie is palpable, believable, and that’s very much thanks to some truly stellar performances. Katherine Waterston’s Dany Branson is the “Ripley/Shaw” character of the film, and she really packs a mean punch, delivering a performance that’s equal parts emotional and badass. Also surprising is Danny McBride as Tennessee, the pilot of the Covenant. I guess it really shouldn’t be surprising that a comedic actor can deliver a dramatic performance (hello Bryan Cranston), but McBride delivered a realistic, three-dimensional character that I honestly wasn’t expecting. And really, the whole cast is superb. 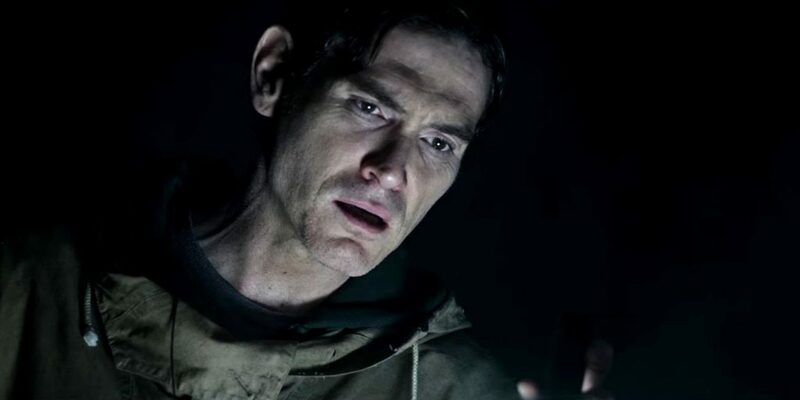 Another standout is Billy Crudup’s Christopher Oram, first mate of the Covenant, and a man of faith. He considers the crew to be his flock, and his character adds the quandary of faith that Elizabeth Shaw added in Prometheus. However, Scott takes Oram’s faith a step further and establishes that people of faith in the year 2104 are considered radicals, or zealots; people that cannot be trusted. This bit of information was delivered in a quick line early on in the film, but it’s important, as the idea of man meeting his Maker is a core tenant of Scott’s renewed vision for this franchise. This particular theme — who created us, and why — was pretty firmly established in Prometheus, and it’s fleshed out here in Alien: Covenant, even if it’s not fully answered. When we last saw Shaw and David, they were on their way to the Engineer homeworld. In a prequel-esque “short film,” Scott reveals that David and Shaw made it there in one piece, but the questions they were hoping to answer are not addressed in this film. Instead, Covenant takes a different turn, and explores the nature of creation itself as we see it. What compels mankind to create, and is the perfect creation attainable? Is it possible to be satisfied with that you have wrought with your own hands? Or are we cursed to live in the shadow of a perfect being, whose level of creation we will never be able to match? These themes and questions are what make Covenant so compelling to watch, because it forces you to grapple with these questions. It forces you to think outside of your comfort zone and really examine your place in the world. Not only that, the film is scary and gory and one hell of a good time. Where Prometheus failed to deliver the scares and the gore (outside of the c-section scene), Covenant does so ten times over with some spectacularly gruesome moments. If you’ve been waiting for Alien to return to horror, this film is it. As I mentioned in the first paragraph, it really is the perfect melding of the original Alien trilogy, and the feelings of dread and wonder are brilliantly amplified by Jed Kurzel’s score. He manages to take the best elements of Alien and Prometheus, and then spins his own take on the franchise that really captures the atmospheric feel of Covenant. Which is really not that surprising when you consider how strong his scores are for The Babadook and Macbeth are (the latter of which, incidentally, also stars Fassbender). If I were to fault Alien: Covenant, it could only be by comparison to Prometheus in terms of its visuals. Prometheus is a damn good looking piece of cinema. Scott worked with Dariusz Wolski (Director of Cinematography) on both films, but I think their vision for Prometheus just barely outshines Covenant. That being said, Covenant is still a gorgeous looking film — it just lacks the same level of wonderment as its predecessor. Wrapping things up, Covenant picks up the pieces of Prometheus and constructs a grander, more terrifying tale that should please both fans of the original Alien films and lovers of this new prequel series. There are no running in a straight line moments, and scientists aren’t taking off their helmets in mysterious caves. Instead, the audience is treated to a wicked smart piece of science fiction that delivers food for thought and delicious gore in equal measure. It’s the kind of film that sticks with you hours after seeing it — for its surprisingly deep philosophy and its nightmarish horror — which is exactly what I wanted to see.